After the Denver Nuggets managed to demoralize the San Antonio Spurs in the friendly confines of the Pepsi Center on Wednesday night, there was a moment during Nuggets’ head coach Michael Malone’s postgame press conference that really summed up the night for the Nuggets and it was the joyful reunion of Gregg Popovich and Michael Malone who have been friends for the better part of 14 years. The sensation that had been missing over the past couple weeks was on full display as Popovich embraced his old friend. That sensation is joy. 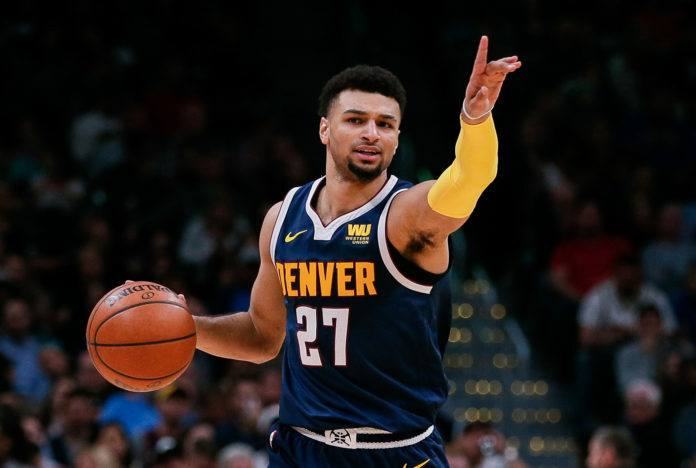 When discussing what traits make the Nuggets such a strong team, there are a lot of answers that get thrown around, but there is one particular litmus test to know how dominant the Nuggets are going to be on a given night and it is how much fun they are having and how much joy they are playing with. When the Nuggets are selling out and giving everything they have on each and every possession, they transform from a young and talented team into a group that is arguably the third-best team in the Western Conference. That is why Denver playing with joy is so important. As Morris stated above, when every player is doing everything he can for his teammates, the sky is the limit for the Nuggets. That is why Denver was able to host the visiting Spurs and win by 28 points on Wednesday night. That joy that the Nuggets had against San Antonio percolated into every single facet of the Nuggets game. On offense — which is where most of their recent issues reside — Denver was moving the ball effortlessly, their player movement on and off the ball was relentless, and they finally were able to finally see their shots fall consistently. Ever since the All-Star break came and went, the Nuggets offensive production has not just been bad, but atrocious. Their offensive rating prior to their battle with the Spurs was 108.1 which ranked as the fifth-worst offense in the league during that time period. Additionally, their true shooting percentage was 53.9 during that segment of the season which was the second-worst mark in the league. The Nuggets also were unable to reach the 100-point threshold in four of their six games before taking on the Spurs. Denver has only failed to reach 100 points seven other times all season. But against the Spurs, the joy that the Nuggets needed returned and it manifested itself on the offensive end of the floor; particularly in the Nuggets egalitarian offense that they unleashed on San Antonio. “The joy comes from the 41 assists; the joy comes from playing for each other,” Malone explained when talking about Denver’s season-high 41 assists against the Spurs. “There are times where we get in our own way and we defend ourselves at times. Without the Nuggets sticking together throughout their struggles, they would have never allowed themselves the opportunity to come out on the other side even more dangerous than they were. The struggles the Nuggets have endured are needed for Denver to become the best version of themselves. They have been forced to rally around one another and their performance against San Antonio was the fruit of those labors. Now that the Nuggets are back to having fun again, it will be extremely interesting to see how they finish the season. With four games left, Denver needs to get at least three wins to lock in the second seed in the Western Conference. So long as they continue to play like they did against the Spurs, Denver should be able to lock in three more wins and secure the second seed in the Western Conference. Still, regardless of where Denver ends up in the standings, so long as they continue to play with joy, they will have a punchers chance on any given night against any team in the league.